The generation of dynamic spirals under conditions of excitability is presented. After a short description of some basic principles of nonlinear dynamics illustrated in the phase plane, we explain what excitable systems are, how excitation waves propagate, and why external forces influence rotating or moving spirals. 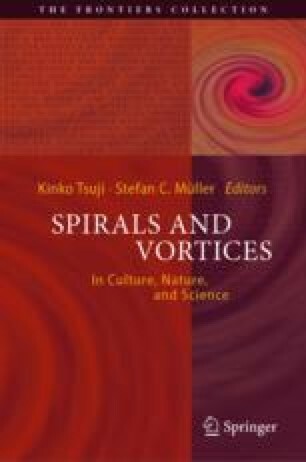 Some images of such dynamic spirals are exhibited.